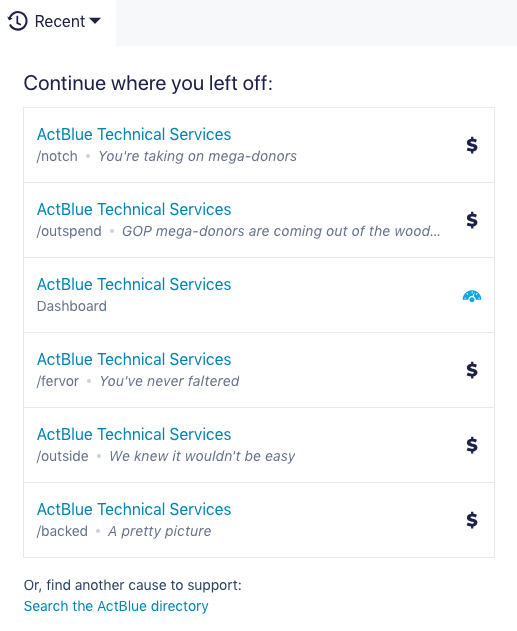 ActBlue users of all types (organization admins! candidates! donors!) 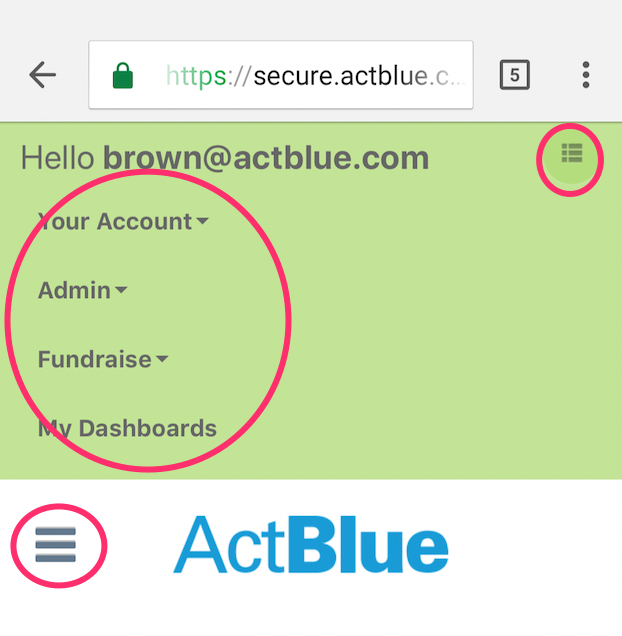 will see a brand-new navigation bar (navbar) on ActBlue starting today, pictured below. We wanted to run through a few of the reasons why we made this change and how we think it will make your workflow even better! First off, we wanted to make the experience better on mobile for everyone. In the old version of the navbar, there were a few different nested menus, which didn’t lead to a very quick or user–friendly experience. The new navbar makes it much easier for users (especially campaign and organization admins) to navigate to the pages they need. The pink circles show the many nested menus in the old navbar on mobile. The new navbar is much simpler on mobile! We also know there are a lot of admins who work with more than one candidate or organization on ActBlue. We wanted to make that multi-group experience as smooth as possible. To that end, we got rid of the old gray slide–out menu and replaced it with a “My Dashboards” tab where you can see the last five Dashboards you’ve accessed or use the search function to quickly find the Dashboard you’re looking for. We’ve added a “Recent” menu to the header, which will bring up a donor or admin’s recently visited pages. For admins, that means you can easily access the contribution forms and Dashboards you’ve been working with. And for donors, it means you can find your way back to contribution forms for your favorite candidate or organization, or use the link to the directory to find the cause you’re looking for. 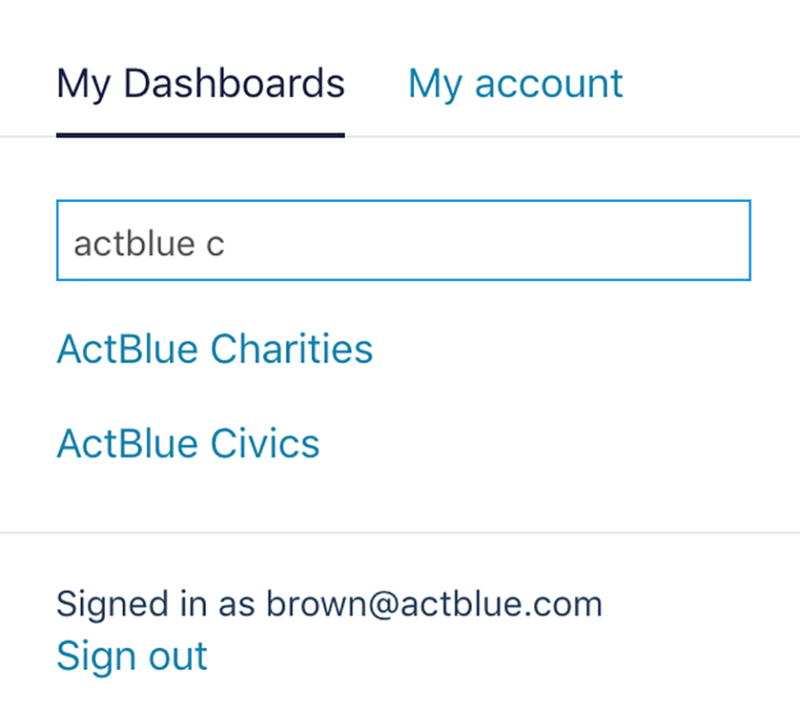 If you’re a cookied entity admin, you’ll now be able to log in to ActBlue while you’re on a contribution form! 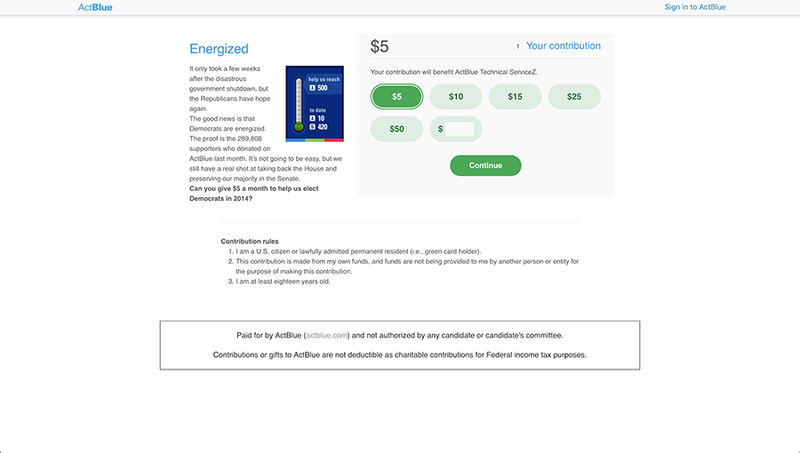 This should make it easier for you to access your contribution form data or Dashboard while preserving the regular contribution form experience for donors. We know this is a big change, but we designed this new tool with faster workflows and a better mobile experience in mind, and we hope it will help out entity admins! We’ve also heard from many donors about needing an easier way to find favorite candidates and organizations, and this is a big step toward that goal. If you have questions or concerns, let us know at info@actblue.com.